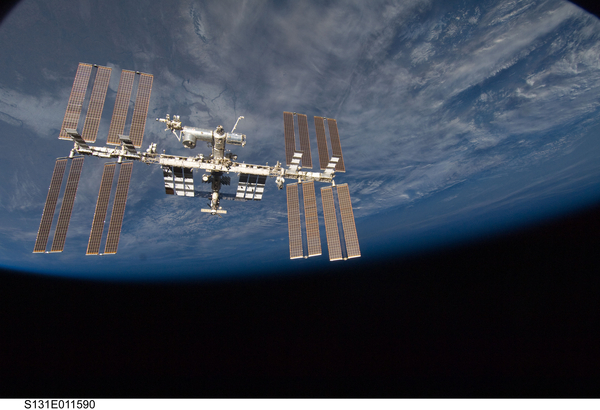 The “Organs-on-Chips” approach to human physiology research aboard the International Space Station may lead to more reliable and predictable results for drug development and reduce the need for animal testing. HOUSTON, TX, June 21, 2017 /24-7PressRelease/ — Models of human disease are beneficial for medical research, but have limitations in predicting the way a drug will behave within the human body using data from non-human models because of inherent differences between species. Many medications produce unexpected outcomes in the clinical trial stage using human subjects, despite success in animal models and even 2-D cell culture models using human cells. The “Organs-on-Chips” approach to human physiology research aboard the International Space Station may lead to more reliable and predictable results for drug development and reduce the need for animal testing. Five recently announced research projects funded by the National Center for Advancing Translational Sciences (NCATS), part of the National Institutes of Health (NIH), and sponsored by the Center for the Advancement of Science in Space (CASIS), will soon bring “Organs-on-Chips” research to the orbiting laboratory. Conducting biomedical investigations within the space station’s unique microgravity environment allows researchers to study cells as they grow in 3-D, rather than in the 2-D lab environment on Earth where gravity forces cells in culture to flatten against plastic walls. In addition to the advantages of growing cells into 3-D tissues, cell cultures will also be observed for changes in gene expression, cell communication, and patterns of differentiation that may lead to changes in organs and other body systems. Partnerships like the one between CASIS and NCATS at NIH provide scientists and engineers the unique opportunity to fly their science in space, furthering ground research and bringing space closer to home than ever. “The International Space Station is a unique platform for research innovation capable of benefitting life on Earth, but it also has the ability to foster valuable partnerships that enable experimentation for a variety of investigators,” said Patrick O’Neill, marketing and communications manager at CASIS. For more information about the Organs-on-Chips research projects, take a look at the CASIS announcement here. Follow along with the science happening aboard the orbiting laboratory on Twitter at @ISS_Research.